Alaffia baskets are handwoven in Ghana and Togo from sustainably harvested grass. Support fair trade and women's empowerment when you give a gift this holiday season. 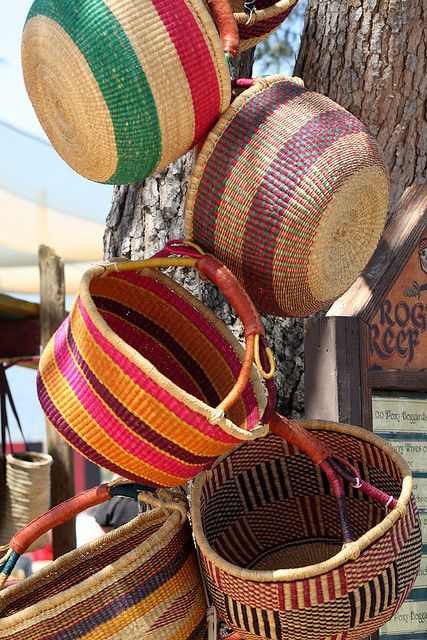 Alaffia baskets are handcrafted works of art that are the perfect sustainable alternative to gift bags and wrapping paper. Recipients will appreciate both their beauty and functionality. These baskets are extremely durable and strong and can be used as a shopping bag, book bag, beach bag, picnic basket and a storage container, among a multitude of other uses. Plus, are cute are these bags?